Concern Worldwide is a charity that works internationally to combat hunger and helps to transform the way people are living in some of the world's poorest countries. As way to support them Concern have a gifts website called 'Concern gifts'. 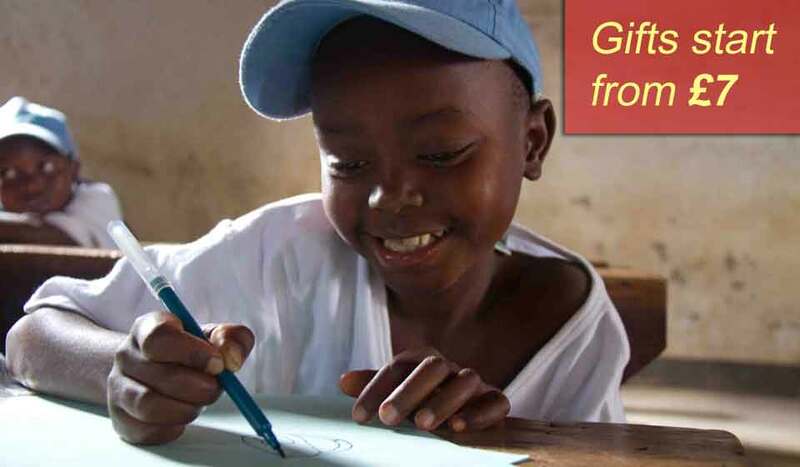 Gifts from the website go to help people in very poor countries. There is a wonderful range of products to choose from on the website that range from pineapple plants to little piglets. Mini farmyards are also available among many other life changing gifts - all chosen by the charity because they know that it will bring a long lasting benefit. So - if you want a great alternative way to do some shopping this Christmas ( or at any time of the year! ) then we highly recommend you check out the lovely gifts available on Concern's website. It will make a family who live in poverty have one of their dreams come true - and bring joy to your loved ones when you give this gift on their behalf. When you visit the Concern gifts site you will be able to see all the gifts - but if you want a sneak peak now check out our slideshow below for more info and prices. Thanks to all our friends a Concern for providing these wonderful photos. Prices are correct at the time of writing, November 2013. What happens when you buy a gift? Concern will give you a massive thank you - and a stunning card that will explain to your friend or loved one just what good the special gift will do in terms of the positive impact it will make on the root causes of poverty. You can even choose to send a card by email - known as an 'e-card' - if you prefer to save on paper. Whatever card you go for you can personalise the message to your nearest and dearest before it is sent off to them. What is so special and differentiates Concern gifts from some of the similar offers available from other charities is that when you buy a goat, a family living in poverty really does get a goat. At Want2Donate we think this helps forge such a direct connection from your purchase to the recipient. If, however, there are no more goats available or needed at the time of your purchase there is no need to worry as the money from your donation will be used wherever the funds are most needed by those living in poverty. In other words not matter what you buy you can feel secure knowing your gift really will make a positive difference. Registered charity numbers: 1092236 (England and Wales) and SC027107 (Scotland). Concern Worldwide was founded in Dublin in 1968.